Since Grand Lake is one of the best boating lakes in the country, with wide open and deep water, it makes sense that you can always find great boats for sale at Grand Lake – both new and used. And that’s just what this page is all about….helping you find your next boat. There are all sorts of great boat dealers at Grand Lake who will be happy to sell you a brand new boat, but for most people a used boat is the way to go. And of course those same Grand Lake boat dealers are happy to sell you a used or consigned boat – because then they will be happy to help you get into a brand new boat down the road. Anyway, there are all sorts of places all over the internet with a million tips on buying boats and all that. That’s not what this page is about. 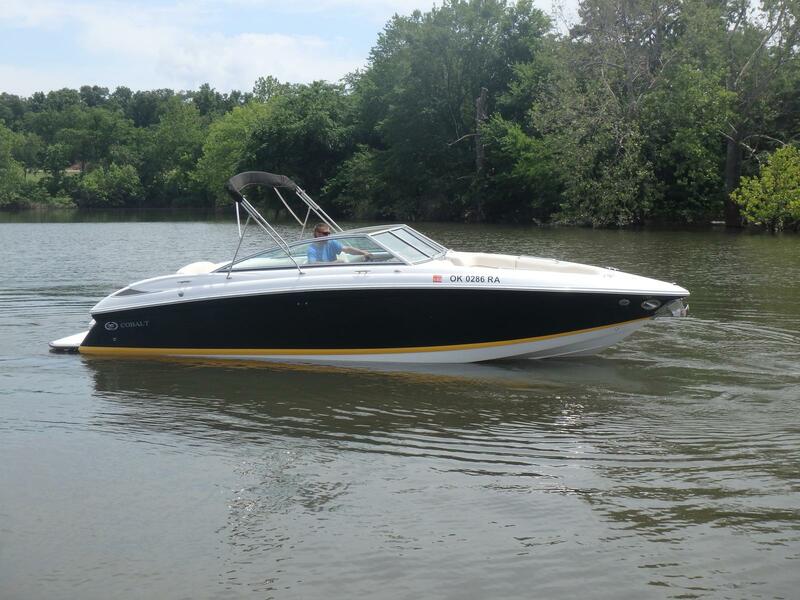 But if you are looking for a good boat to buy, whether at Grand Lake or not, this is a great place to start. At any time there will be no more than 10-12 boats featured on this page that are available right now. Also, if you have a boat you want to sell, reach out HERE and we’ll see what we can do for you. So…about those boats…(and make sure you scroll all the way through this post – you never know where you will find your next boat!). 490hp Volvo Penta diesel engines with low hours. 23KW Kohler generator to provide comfort while away from port. Five Heat/air systems. 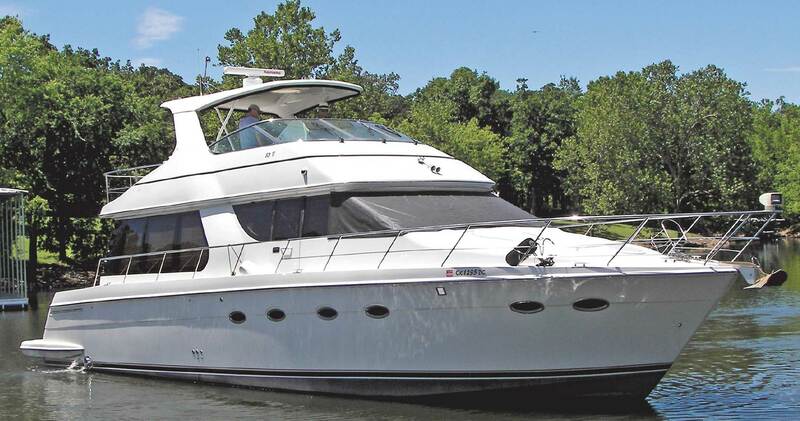 Two living rooms; a spacious main salon accessed via glass sliding doors from the spacious aft deck, open to the galley with central Vac and entertainment center/ TV/CD/DVD and Sirus; and a panoramic Sky Lounge with large screen TV. This boat is a floating condo; easy to drive and maneuver, with back up camera and a aft deck parking controls for ease of backing into the slip. All engines and AC systems have been serviced and are ready to go for the summer. 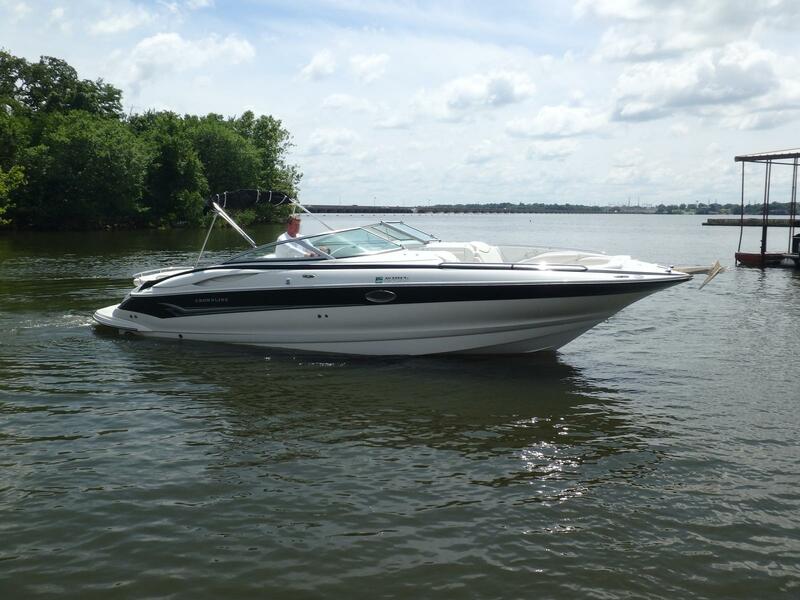 This 2005 Crownline 316 LS is in excellent condition and comes equipped with Twin Merc 350 Mag MPI BIII engines, is onyx in color with moonstone accent, Platinum Mist interior, Corsa Quick and Quiet Plus (thru side exhaust), Trim Tab Indicators, windlass w/rope and chain, stainless steel rub rail w/ black extrusion and onyx dash accents. Go HERE for more pictures and details and for more information please call or email Jerry at (918) 435-8250 or (918) 691-8823 or [email protected]. This beautiful like new 2014 Regal 35 Sport Coupe is nicely equipped with Twin Volvo V8 EVC Joystick Cat and the following options: stereo high performance package, television-cockpit, television-mid cabin, stereo satellite tuner, cool cockpit, electric grill, central vac system, anchor windlass and SS anchor, foredeck sunpad, underwater lighting, windshield tint, generator:110v gas. This boat is a must see! Go HERE to request more information or value your trade or call (918) 782-2628 right now. 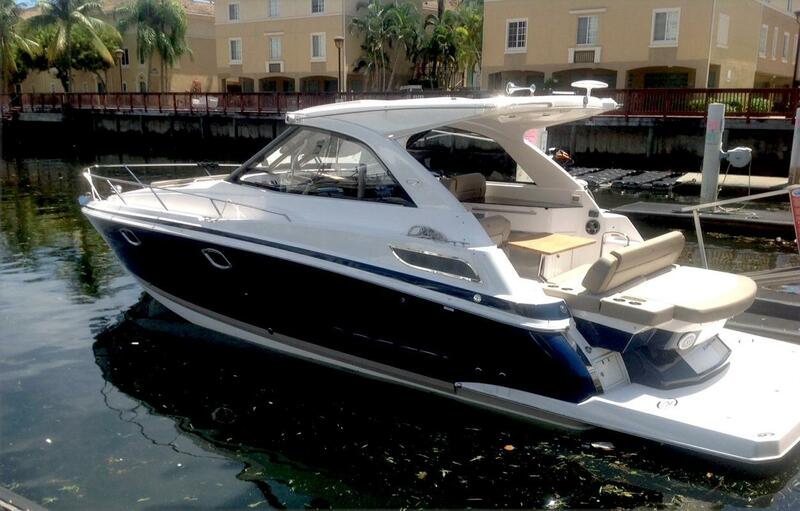 This 2009 Cobalt 262 is equipped with a Merc 496 Mag Mpi Bravo 3, Aft Walk-thru Carpet, Battery Switch-dual, Bimini Top, Bow Cushion Insert, Port & Stbd, Captain’s Call Exhaust, Docking Lights-stainless Steel, Flagpole W/flag, Mooring Cover W/bimini, Pump Out Porta Potti, Swim Platform Transom Lighting, Waterweave Carpet Upgrade, Windlass W/line, Chain & Anchor, Wood Dash/trim Package, 3-color Custom,ebony W/all White Deck. For more photos or information GO HERE or call or email Jerry at (918) 691-8823 or [email protected].